Double & Single rooms 1 to 3 Pers. Our 5 rooms (4 double rooms and 1 single room with place for 1-3 Pers.) equipped with a bathroom and shower/WC, table and chairs, satellite TV and Wi-Fi (free). 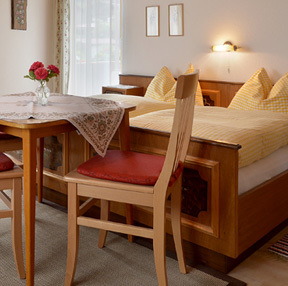 Every room has a beautiful balcony which face either south, with unobstructed views of the Hartkaiser and the ski run of theHartkaiser Skiwelt-Wilder Kaiser-Brixental, or north with breathtaking views of the Wilder Kaiser mountains. 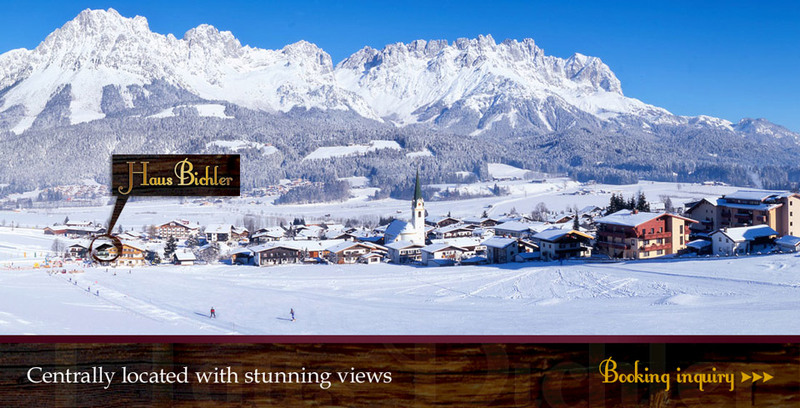 House Bichler also has a ski room with a boot dryer, a large terrace with an unobstructed view of the Wilder Kaiser, and a cosy breakfast room and lounge area. Children discounts available by request. Parking is available. 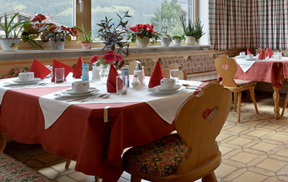 In our cozy breakfast room you can enjoy a tasty breakfast for a great start to your day. In our lounge you can sit comfortably on a cold winters night or after a nice days hiking and enjoy a cold beer or a glass of good wine, with nice conversation, and ‘toast’ the day.